In my last post I told you about a new product called WireForm. I used it on a new quilt in my collage series which, along with another new pieced quilt, were juried into a CQA (Contemporary QuiltArt Association) exhibition which opens this weekend in Tieton, Washington. Some friends and I will be there for the opening. First about the quilts: On “Sustantivo” I used the WireForm, folded into strips, to connect the smaller pieces that I do in my collage technique. 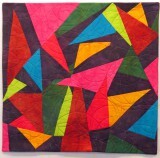 “Fandango” is a pieced – rather complicated I must admit – quilt. Both will hang in “Salsa,” which runs 5/25 through 7/14/13 at the Mighty Tieton Warehouse Gallery in Tieton, WA. Second about Tieton: Where in the h— is it? Mighty Tieton is a group of entrepreneurial creative individuals (designers, architects, artists) working in Central Washington to revitalize the economy of the town and region. Their Warehouse Gallery is located at 608 Wisconsin Ave, Tieton, WA, which is 15 miles west of Yakima on Highways 410/12, approximately two and one-half hours from Seattle. More good news: An older quilt, “Healing I” we juried into the SAQA (Studio Art Quilt Associates) exhibition, “Color Wheel of Emotions.” This is only the second SAQA show my work has been accepted and it was one of 19 out of 268 entries. The show opens a the World Quilt Show in New Hampshire 8/15-8/18/13; travels to the Pennsylvania Quilt Extravaganza in Oaks 9/19-9/22/13 and then to the Pacific International Quilt Fest in Santa Clara, CA 10/7-10/11/13. More venues may be added. All of this inspires me to work in my studio. I’m machine quilting on another in my “Sticks” series and starting to piece the works inspired by my Hawaii and Australia photos that I mentioned in my last post. All of this fits into May activities and life in general. I keep telling myself that quilting is a priority, but … More next time. Exciting news – my quilt makes the cover of a book! Why is this exciting? 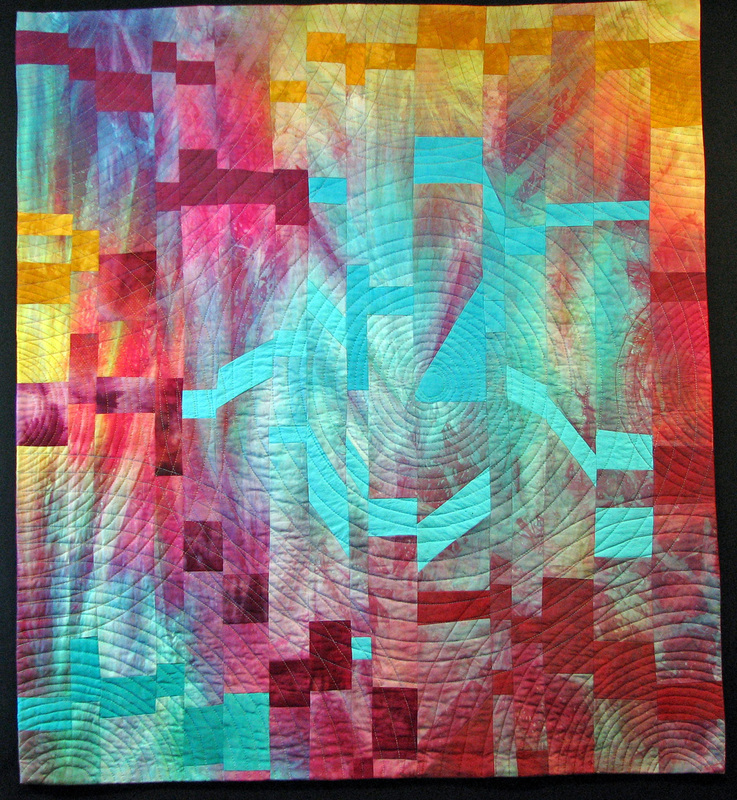 A photo of my quilt, “Seeing the Light” is on the cover! This is one of the two quilts which are traveling around Europe and the British Isles with the Color Improvisations exhibition. The Amazon price for The Studio Quilt, no. 6: State of the Art is only $15.00 – considerably less expensive than the price on the quilt – which is also for sale! This 56-page volume of The Studio Quilt series showcases recent contemporary quilt art by sixty artists, with one quilt by each, including an introduction by critic and curator Sandra Sider. 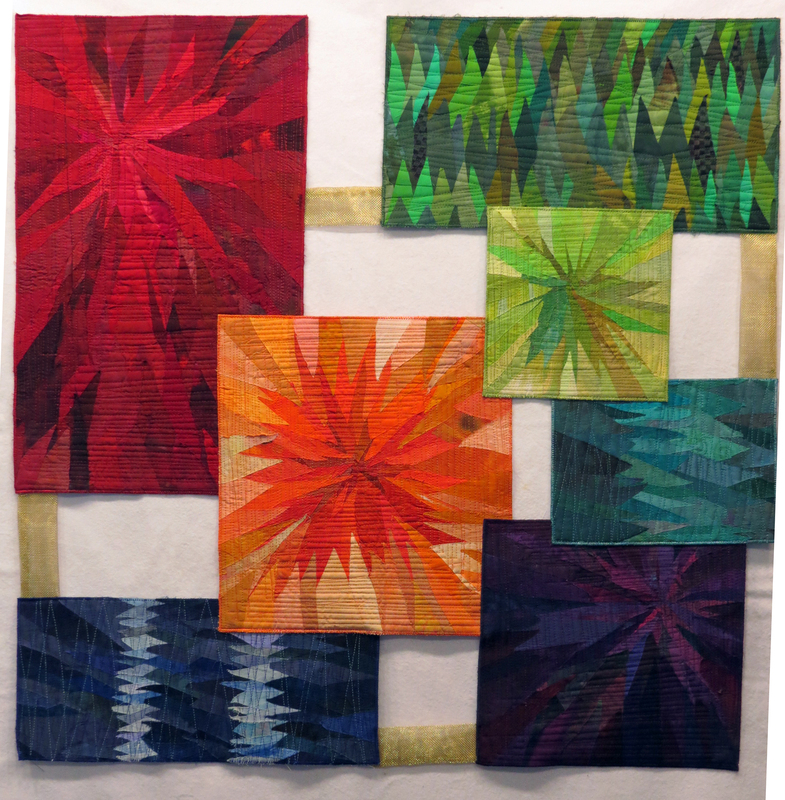 The quilts were selected by her via an international call for entries. I haven’t seen the book yet, but am very excited about it!